Sophisticated homebuyers have yet another reason to “Come Fall In Love” with the luxury homes at One Park in Cliffside Park this February. 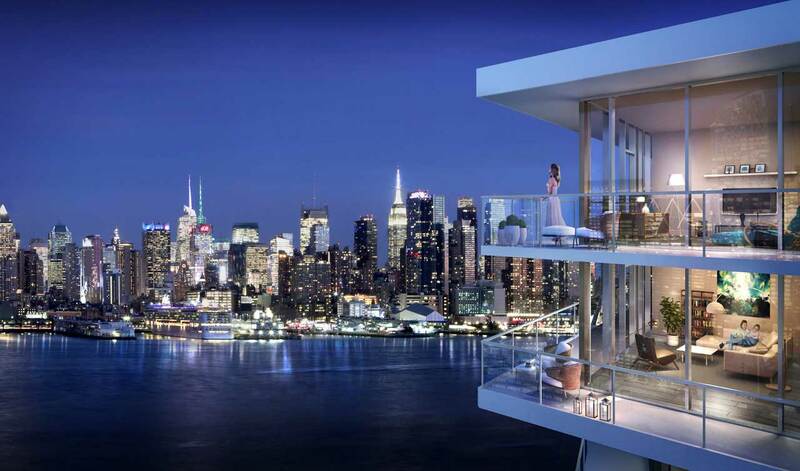 Developer DMG Investments has introduced a limited-time incentive which provides special pricing on select one, two, three, and four bedroom condominium at the upscale 14-story Bergen County building. In honor of Valentine’s Day and available throughout the month, the sweetheart of a deal is a rare opportunity when purchasing at one of the New Jersey Gold Coast’s hottest new residential addresses. Homes offered in the incentive range from 752 square feet to a sprawling 1,632 square feet. Each residence includes a private outdoor balcony. For additional information on the special incentive and applicable homes, please contact the Sales Gallery at 201-633-7600. Designed by noted architectural firm Architectura, One Park offers 204 one, two, three and four bedroom residences priced from $495,000. Interior spaces curated by boutique design firm, VLDG Inc. feature expansive kitchens with chef-caliber appliances, the finest fixtures, and magnificent views. Bedroom suites are calm sanctuaries for rest and relaxation, with floor-to-ceiling windows flooding the space with light. Spa-inspired bathrooms are adorned with a freestanding sculpted tub, large open shower, porcelain flooring and richly-toned wall tiles. The dramatic elegance and sophistication of One Park are further enhanced by its more than 25,000 square feet of indoor and outdoor amenities. These will include a 24-hour attended front desk, an Aquatic Center featuring an indoor 55-foot heated pool with sauna and steam rooms, and adjoining outdoor sun deck; private furnished roof deck including dining terrace with grilling stations, fire pits, intimate seating areas and outdoor movie theater. There’s also a state-of-the-art fitness center with private pilates room, squash court, golf simulator, children’s playroom, pet spa, guest suites and a secure parking garage with a fully-automated Unitronics system. One Park’s Cliffside Park location has long attracted those commuting to New York City for business and pleasure who appreciate its proximity to the George Washington Bridge, Lincoln Tunnel and New York Waterway ferry service to Manhattan. The one square-mile borough also enjoys a diverse dining and shopping scene. The main thoroughfare, Anderson Avenue, or “The Avenue” as it is affectionately referred to, is lined with boutique stores and shops, while an eclectic offering of dining, shopping and waterfront recreational and nightlife pursuits are just minutes away in Edgewater, Weehawken, North Bergen and Hoboken. Headquartered in New York City at 100 Wall Street, DMG Investments LLC (“DMG”) was established in 2013 as the US subsidiary of DoThink Holding Group, a well-known real estate developer in China. DMG focuses on real estate acquisitions, development and management as well as financing. Leveraging the expertise of a team of dedicated real estate professionals with decades of experience creating and adding value for investors, DMG has amassed a portfolio of best-in-class assets across the US in dynamic markets in New York, New Jersey, Texas, Tennessee and Wisconsin. As the portfolio continues to grow, DMG is dedicated to providing amenities and services that enhance the livability of each project be it in the student housing, traditional multifamily or condominium sector. In the years to come, the goal of DMG is to become a global real estate enterprise with a world-class reputation for sustainable development and a business philosophy that emphasizes the importance of delivering value for investors, owners and residents.